At Gamescom some new Disney Infinity Marvel heroes were demonstrated on screen in the business area. On the show floor there were also some new Endor levels to try out. As you can see in these hands on videos the Endor location looks the business, with trees, foliage and of course the all important Speeder Bikes and Ewoks. Put it all together and you have the makings of one of the most iconic locations in the Star Wars saga. Add to this some great missions construction, including one where you have to disguise Ewoks as Storm Troopers before catapulting them to spy on the Empire, and this is already one of our stand out moments in the game. The Speeder Biking is particularly impressive with a strong balance between breakneck speeds and cartoon toy box antics. Of course here, unlike in Battlefront, if you crash you simply put yourself back together and carry on. It’s perfectly judged for a younger audience, but looks so good that it will likely attract attention from older players as well. Expect mums and dads to be as keen to play this on Christmas day as the kids. Finally we had a close up look at the Hulkbuster and Ultron figurines. This much had been seen before, but now for the first time we could also place them on the Disney Infinity base and see them on screen. A tour of their fully maxed out abilities along with the full Upgrade Trees paints another strong picture about an anticipated Marvel playset — still to be announced. 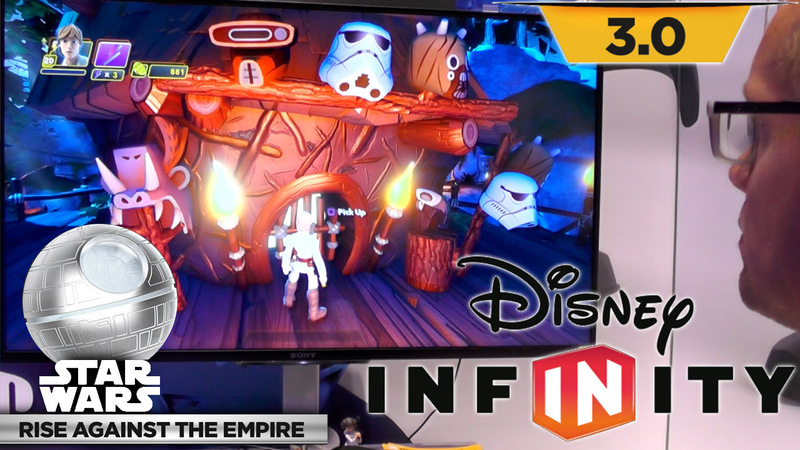 The rumour is that the Marvel adventure in this year’s Disney Infinity will focus around Ant Man, and with new Disney characters to be revealed at next week’s D23 event we should have a clearer picture then of how this will pan out. 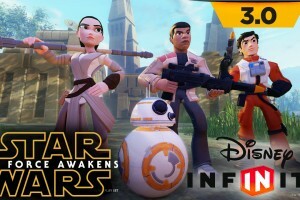 Either way, Disney Infinity is looking like it’s back on form this year with strong franchises and some great touches from the multi-developer team.